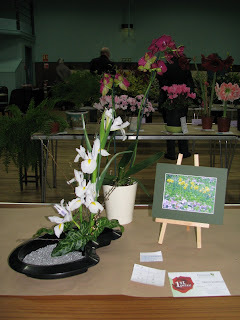 In the Decorative Section the principal prizewinners were Ann Steer, Maggie Roberts, Jeanne Barnett and Christine Moore. 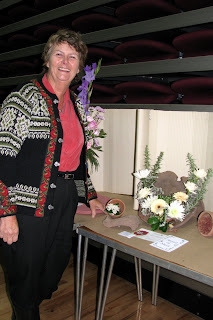 Ann Steer won the Award of Merit for her interpretation of ‘Old Crocks’. 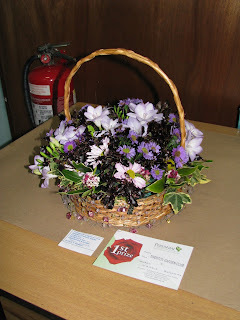 Maggie Roberts won a new award for novice in the decorative section for a fragrant basket arrangement. 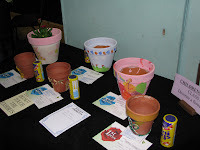 The winners in the Children’s Section was Libby Waterman and Charlotte Grose with their decorated plant pots. 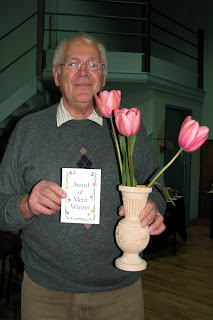 In the Cut Flowers Section the principal prizewinners were Peter Billing, Ann Crawford, Kate Ziff, Mike Long, Margaret Grose, Jean Bennett, Angela Moore and Alby Berry with Peter Billing winning the Award of Merit for a vase of three single tulips. 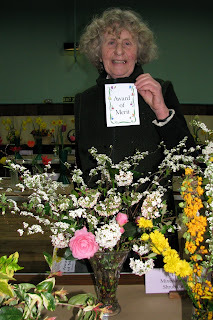 In the Shrubs and Trees Section the principal prizewinners were Angela Moore and Ann Crawford with Angela Moore winning the Award of Merit for a vase of mixed flowering shrubs. 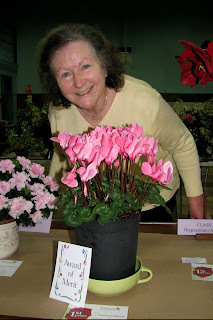 In the Pot Plant Section the principal prizewinners were Norah Mears, Annie Lush, Kate Ziff, Margaret Grose, Janet Billing, Ethel Salter, Jeanne Barnett and Peter Billing, with Annie Lush winning the Award of Merit for a beautiful cyclamen. 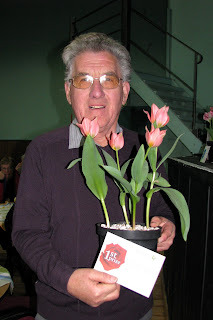 The Members Competition for a pot of tulips, provided by the Club, was won by Mike Long who won the Sue Gollop Trophy. In the Photography Section the principal prizewinners were Norah Mears and Ros Nichols with Ros Nichols, winning the Award of Merit with her photo of ‘A Place of Worship’. Finally, nine exhibitors battled it out in the Jubilee Collection Class, which was won by Tim Nichols with 24 points. Second was Jean Webb with 23 points and third was Ann Crawford with 21 points. The Committee would like to thank the judges, Colin Barrow and Mary Tucker for their time and hard work and all the exhibitors for a top quality show.